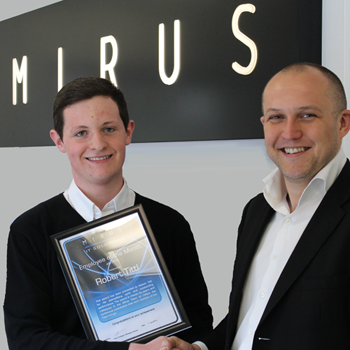 The team have casted their votes and this month’s Mirus hero is our newly promoted IT Workshop Manager Robert Tittl. Robert stepped into the position last month after joining us as a Systems Technician and has rapidly become acquainted and enthused by his new challenges. Well done Robert and thanks to the team for so many votes.